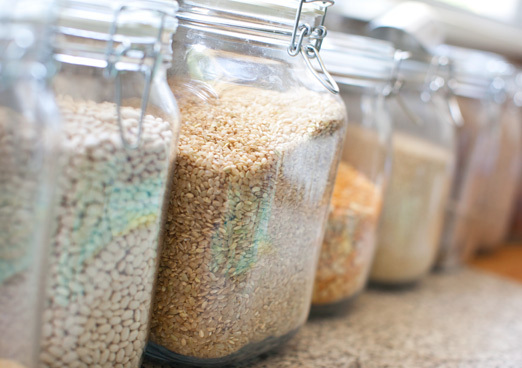 when we first started to cook using mostly whole foods we bought a bunch of jars here to store all of our bulk section loot (let me tell you, there are few things less fun in the kitchen then cleaning up a brown rice spill from a faulty plastic bag!). 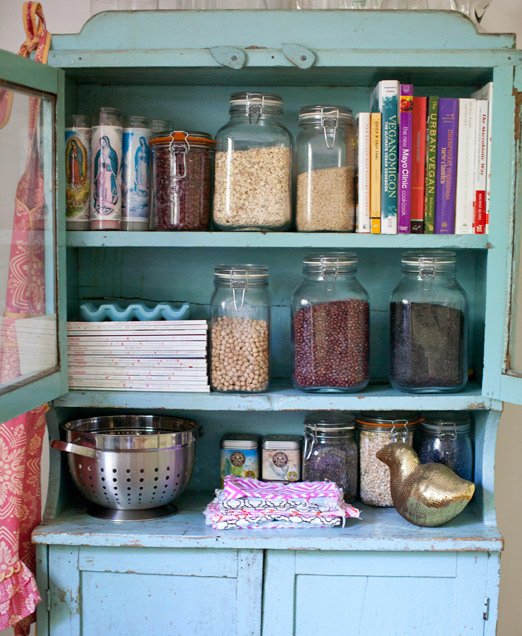 these jars of grains, nuts, beans, seeds, dried fruit and miscellaneous goodies are tucked into every corner of our kitchen. they keep us clean, organized and keep everything we have to cook with front and center. i see a project in our future. i dream of having something like this! pretty organization like that makes me giddy (yes, it’s a sickness). and lou would be so happy if these were all tucked away, he dreams of a modern kitchen with next to nothing on the counters. that sounds pretty nice to me too! someday my friends, someday. 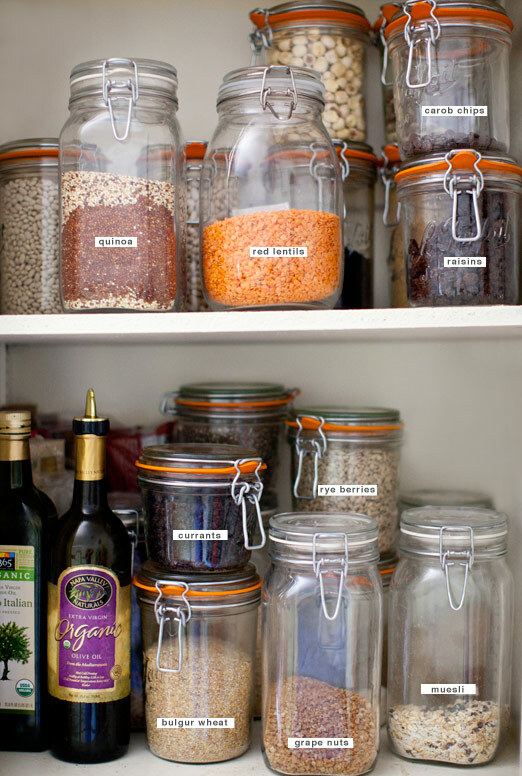 ah I love the look of mason jars with grains/nuts/what-have-you. LOVE. Great link! As a compulsive organiser I think that would be a dream! Mason Jars and Canning Jars are some of my favorite multi-purpose items – from brining my own olives and pickles to storing rubber bands, cotton balls, and various ephemera! They are just so streamlined, clean, and with a perfect hint of vintage.